In Roger Watkins’ book on the Wellington bands of the 60s and early 70s, When Rock Got Rolling, there’s a map showing the locations of all the clubs and venues in the city during that time – and there seemed to be a lot of them! Fast forward to the late 70s, though, and most of them had gone. Wellington was a grey, dull town, and live music largely meant covers bands in brewery-owned concrete booze barns such as the Lion Tavern or the Cricketer’s Arms. If that wasn’t your bag, and you weren’t into the disco scene either, your entertainment choices were pretty limited if you were young and looking for some action. However, if you were a budding punk rocker in the late 70s your choices were even more limited – limited to your living room or bedroom, mainly. When I came on the scene in early 1978 there weren’t even any punk bands in Wellington, much less anywhere that such bands could play. 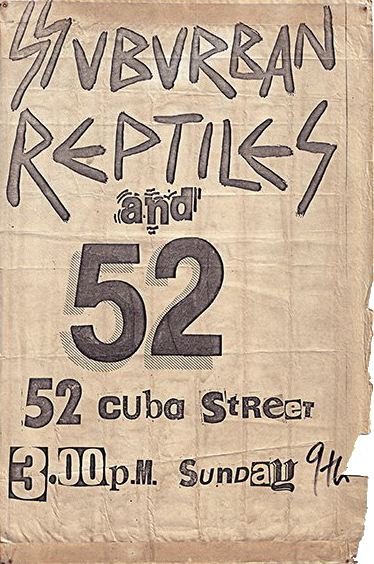 The first proper punk gig I attended was when the Suburban Reptiles played a Sunday afternoon show on 9 April 1978 in a now-demolished upstairs hall at 52 Cuba St. Their support act was a local band named 52. 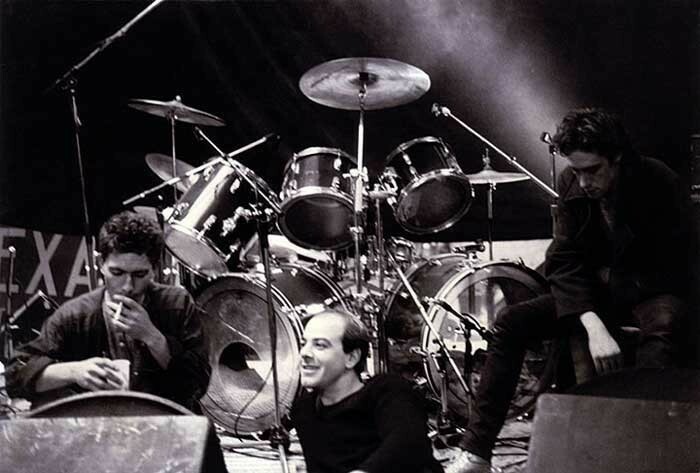 They were the closest thing Wellington had to a “new wave” band at the time, and were very good – angular, energetic art-rock not a million miles removed from what bands like Talking Heads or XTC were doing overseas. It’s a shame no recordings exist. The first regular, if short-lived, home for the still-tiny Wellington punk scene opened in November 1978. 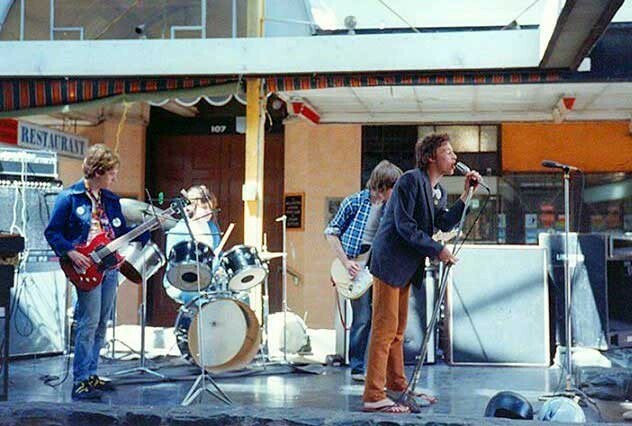 The Mindshaft, run by Tony Lambert, was formerly the Chez Paree, a boho coffee lounge above the Embassy Theatre in Kent Terrace, accessed via a side door in Majoribanks St and up a narrow staircase. A bit notorious in its day, the Chez, as it was known, was past its prime by the time Lambert repurposed it as a band venue. 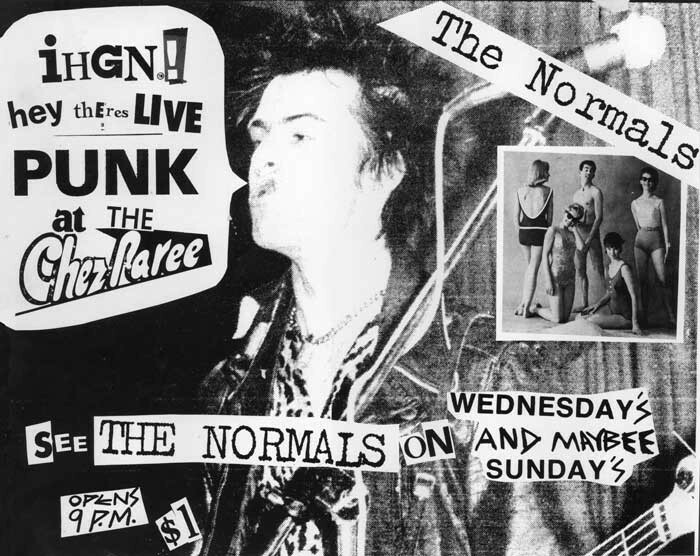 The first act to play there (and arguably Wellington’s first proper punk band) was The Normals, who played a number of times before temporarily splitting up. The Amps (who would evolve into Shoes This High over the coming year) then took over from them for a few weeks before the Mindshaft folded for good at the end of the year. A stone’s throw from the Mindshaft, in Courtenay Place, was another newish venue called the Last Resort Café. A non-licensed venue (as most of the non-pub venues were in those days), the Last Resort tended to go for rather more mainstream fare at first, such as The Crocodiles and Th’ Dudes. Another upstairs venue, it was a good (if smallish) space, divided into two sections with tables and an open area with a low stage at one end. The Last Resort, being a café, also served food (banana cake to die for!). It became one of Wellington’s main live music venues for the next two to three years. The original management didn’t like punk audiences much. However, during 1979-80 they would grudgingly host more punk/ new wave-oriented bands from out of town, such as Toy Love and The Spelling Mistakes, but less-professional local acts rarely got a look-in unless the headline band brought a local band in as support (my own band, for example, supported Pop Mechanix for four nights in July 1980, but the venue staff barely acknowledged our presence the whole time). 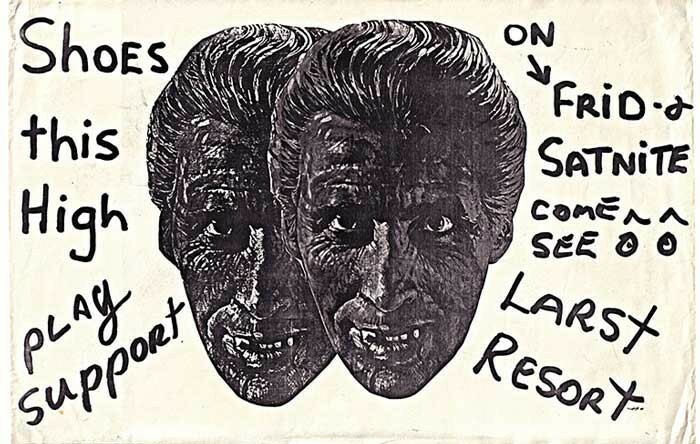 The Last Resort became more punk-friendly from late 1980 when Sue Barlow took over the ownership. 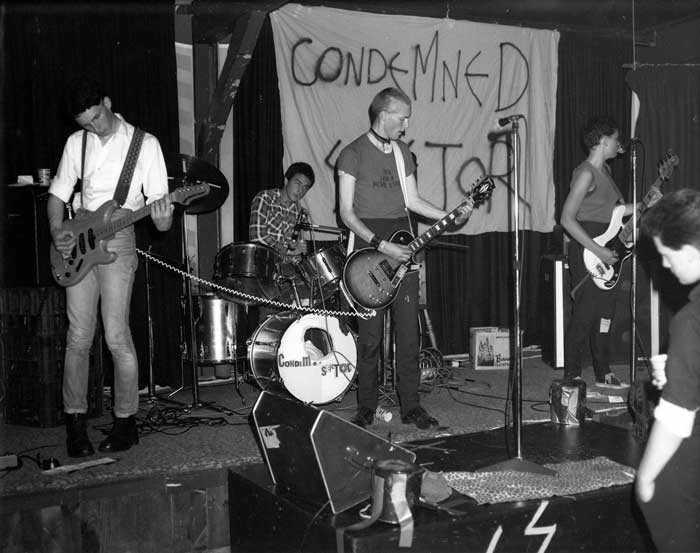 Among other changes, she enlarged the performance space by knocking down an internal wall, and for a few months it became something of a hangout for the Wellington punks until it closed for good at the end of May 1981. Thistle Hall in upper Cuba St has been around for over 100 years. In its time it has been everything from a meeting place, a dancehall, a playground, a movie theatre, a classroom, a studio, a venue for gigs, and nowadays it’s had a big makeover to become a community centre and public art gallery. 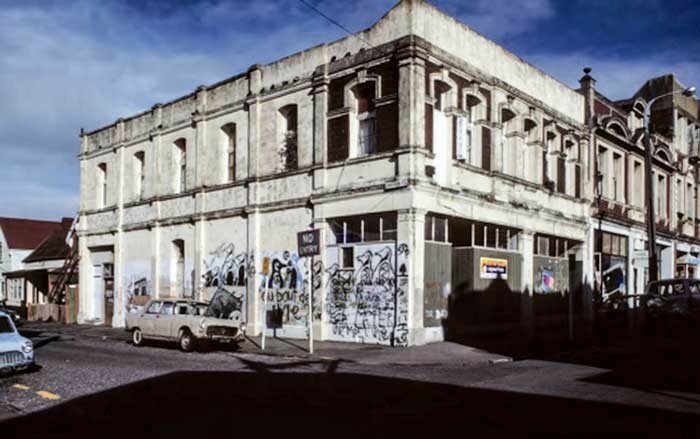 Back in the late 70s, when it was still looking a bit shabby, Thistle Hall became an early home for Wellington’s growing punk scene. 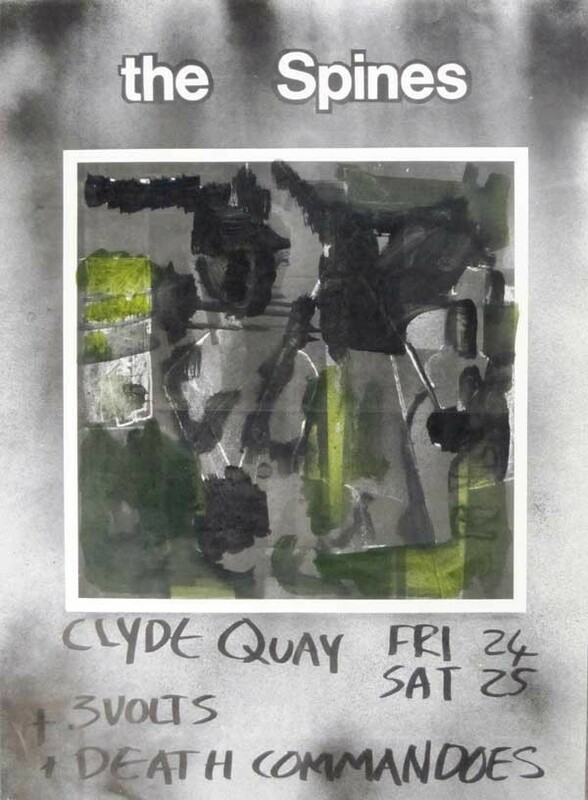 It hosted the first of its many punk gigs on 25 August 1979, organised by The Wallsockets, who featured along with several other bands. A second gig with a similar line-up was held a month later, and there were many more punk gigs over the next several years. 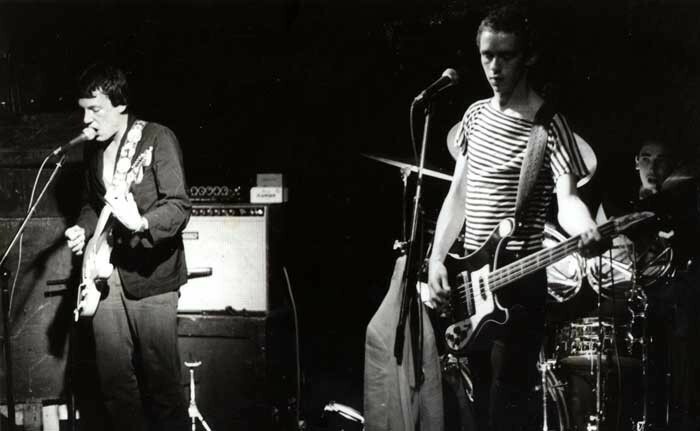 The Clean’s long-anticipated first Wellington appearance on 24 September 1981 was at Thistle Hall, supported by The Spines. However, due to a confrontation outside the venue between some punks and Nomad gang members, the police – who had arrived in ridiculously large numbers armed with batons – closed the gig down instead of simply dealing with the Nomad troublemakers. This resulted in a lot of bad feeling. Given that the police were still baton-happy after the Springbok Rugby Tour a few months earlier, their over-the-top reaction was probably not surprising. It wasn’t quite the end of the gig, however: The Clean loaded up their gear and a lot of us decamped to 212 The Terrace (headquarters for the so called Terrace Scene), where the band set up and played in the very large living room. Everyone had a great time. The Clean returned to Wellington on 11 November for an excellent gig at the Terminus Tavern, which more than made up for the previous debacle. Down the road from Thistle Hall is Cuba Mall. These days it’s a lively place on the weekends, with open-air cafes and bars and lots of funky shops, in keeping with the slightly offbeat character of the street. But back in 1979, before the days of Sunday trading, Cuba Mall, like the rest of Wellington’s CBD, was pretty much deserted. Out of frustration at the limited opportunities for the new bands to play live, Chris Plummer and Mark Thomas of The Spies and Martin Walsh of The Wallsockets approached the City Council on behalf of both the musicians and the potential audience seeking permission to use Cuba Mall (which had a small built-in stage) for free performances. Somewhat surprisingly, the Council agreed. 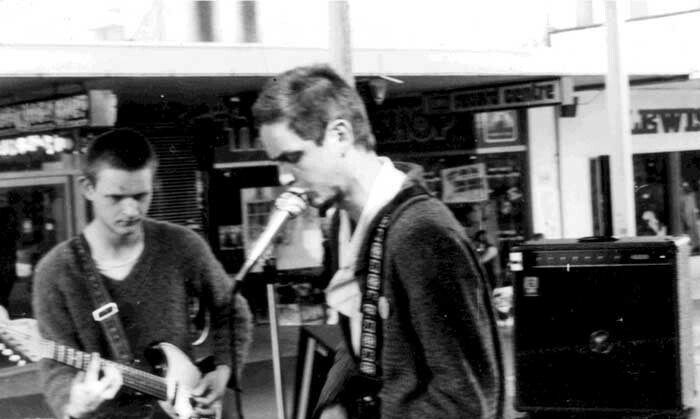 As much open-air practice sessions as they were performances, the importance of the Cuba Mall gigs (held most Sunday afternoons from 30 September to 9 December) cannot be understated. For the first time the bands had somewhere regular to play. As it tended to be the same bands for the most part (mainly The Spies, The Wallsockets, and the embryonic Shoes This High, but there were others), you could follow the development of each band from week to week. Equipment was shared, and occasionally they might get the use of Toy Love's PA if they were in town on a given weekend (as they were for the first one). A typical Cuba Mall gig included sets from one or more bands, after which things tended to degenerate into largely aimless jamming by anyone who felt like picking up an instrument. Behind Trades Hall in Vivian St and down a short alley lay a good-sized hall with a high ceiling that became one of Wellington’s key live music venues for a couple of years or so. When I first went there in 1978 it was called Ziggy’s, but by the following year it was reborn as the Rock Theatre (officially The Good Times Rock Theatre) and it hosted some reasonably big acts including Midnight Oil on their first NZ tour. 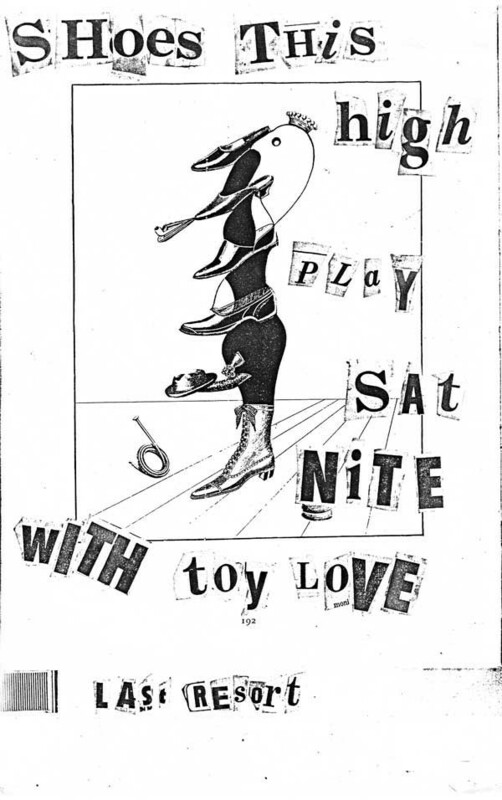 Toy Love and The Swingers played several memorable gigs there during the winter and spring of 1979, as did The Terrorways. 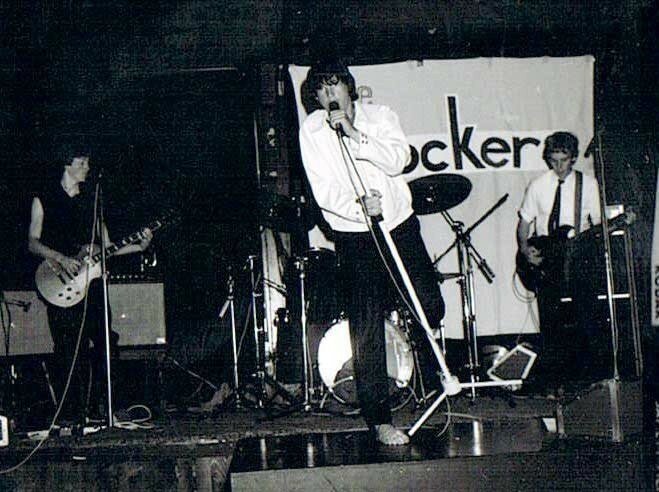 In early 1980 a group of people including Kerry Hessel, Steve Braxton and Tony Fernandez took the Rock Theatre over from previous owner Stewart Thwaites, and aimed to turn the already established venue into something a bit different, under a new moniker, Billy The Club (the name came from a novel by William Burroughs). Billy The Club opened with a bang in mid-May with a gig by Christchurch band The Newz, supported by locals Shoes This High – who managed to blow the PA by playing too loud. 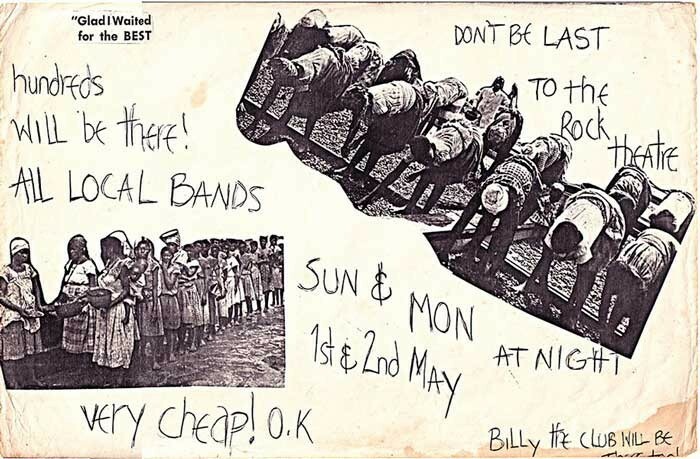 Billy The Club next hosted a "Queen's Birthday Weekender", featuring nearly a dozen acts over two days and covering a wide spectrum of styles. The following month or two proved to be the high water mark of the Wellington punk/ post-punk scene that had been steadily growing over the previous year. By the time the spring of 1980 rolled around, however, audiences had dwindled and Billy The Club had run its course. Always run on a shoestring budget, it finally went bust and the venue was taken over by a local iwi organisation, the Morehu Trust. Its days as a rock venue were over. Mainstream bars, of course, didn’t want to know about punk/ new wave bands, at least not at first. An early exception was Willy’s Wine Cellar, a downstairs dive so old-school it still had cages for go-go dancers. 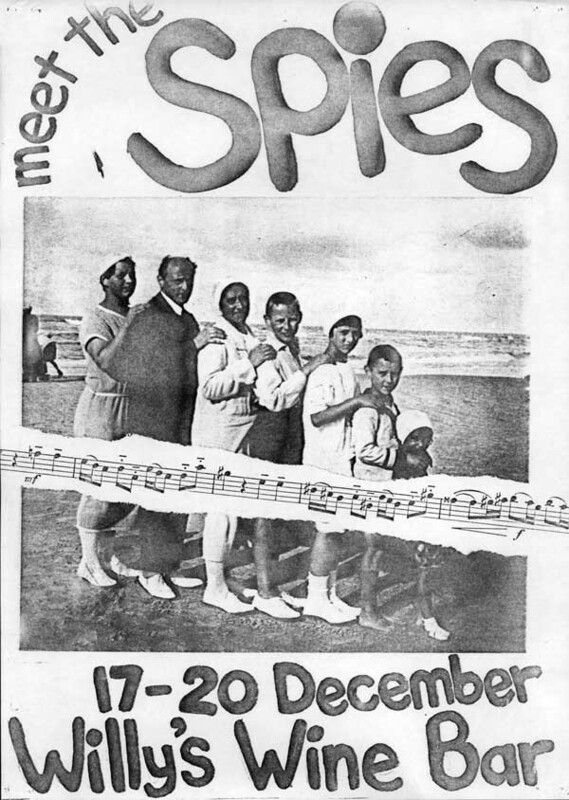 In December 1979 The Spies played for three nights there (they were originally going to play four nights, but venue management cancelled the last night). "Mighty Rock 'n' Roll at Willy's Wine Cellar," screamed the postage-stamp-sized newspaper ads! While Willy's seemed an incongruous venue for a band like The Spies, it was the first time any of the new underground Wellington bands had headlined at such a venue, so it was a significant step. I don't remember how many people were there (probably not a lot, which might explain the cancellation of the fourth night), but a good number of the Wellington punk community were probably there, and The Spies around this time were at their peak. Pubs eventually softened their stance towards the new music. One of the first to do so was the Terminus Tavern, located on the corner of Taranaki St and Courtenay Place. It wasn’t ideally set up for live bands: you went up via a staircase that came out in the middle of the room, and the stage was off to one side in the corner, so it was an oddly-configured space. 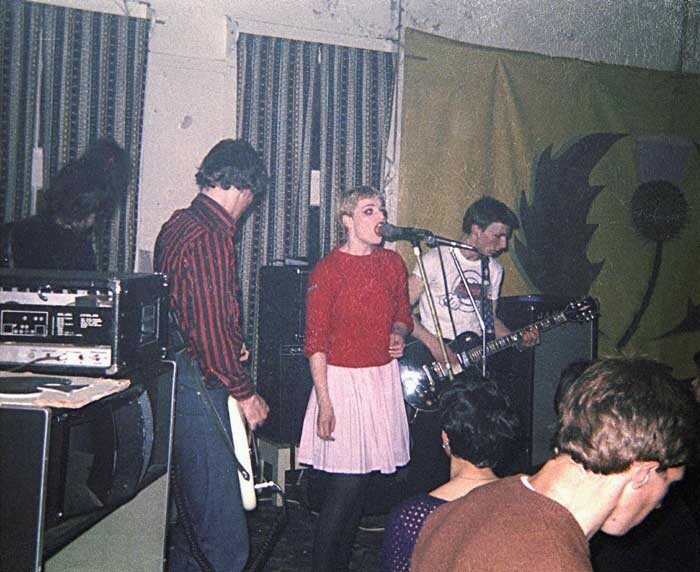 It generally hosted more established bands, such as Toy Love and Blam Blam Blam, but it was also where The Clean played their first proper gig in Wellington. Head down Courtenay Place, hang a left at the end, and a short way along you’d come to the Clyde Quay Tavern. 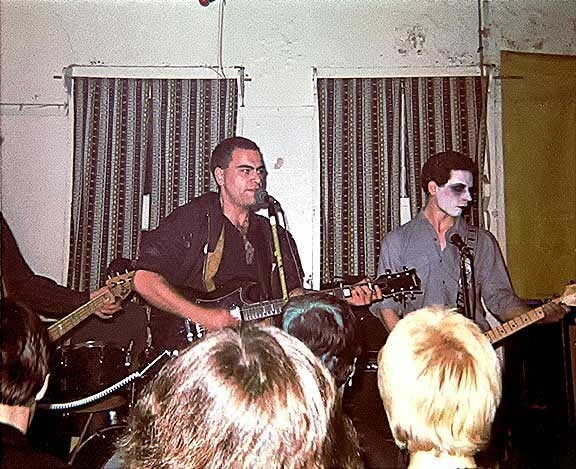 Another upstairs venue, it had a big open space, and in early 1982 it hosted some memorable Saturday afternoon gigs, including Beat Rhythm Fashion and Naked Spots Dance, the two most successful bands to come out of Wellington’s post-punk soup. 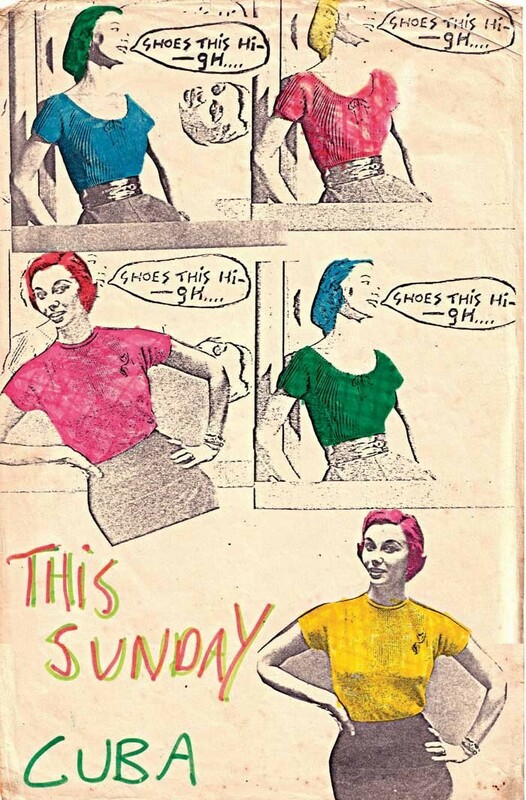 These shows pulled good crowds, and the atmosphere was great (bring back afternoon gigs!). They also did evening shows, one of the more intense being Fetus Productions, who were painfully loud. Another regular pub venue in the 80s was Cosgroves, a back bar at the Cambridge Hotel on Cambridge Terrace. The stage was on one side of the room, with seating booths on the other side and some tables in the middle. It was a groovy little venue, and all manner of bands played there. 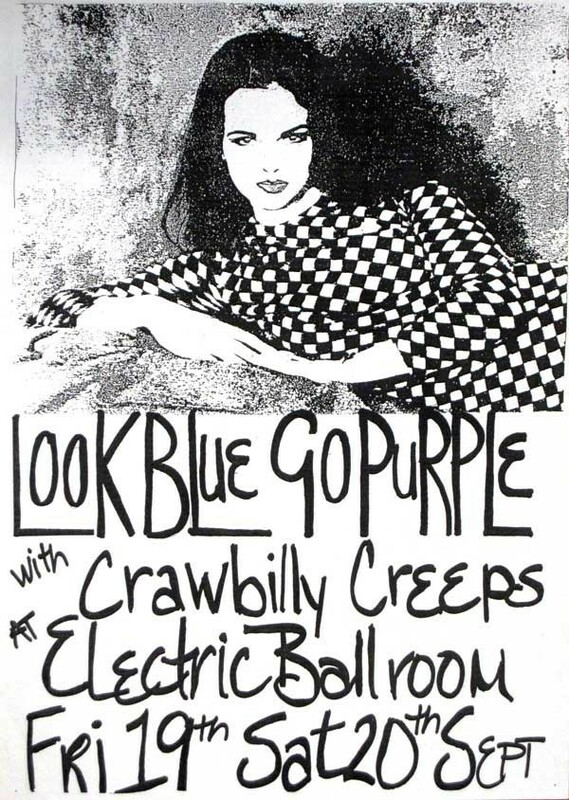 The two gigs I remember the most were The Body Electric’s debut, and Unrestful Movements, both in 1982. The Electric Ballroom (formerly The Club) was located in Victoria St. The building is gone now, replaced by a hotel, but it was a top venue for a good part of the 80s. The Residents played there, as did John Cale, and of course many local acts over the years. Another upstairs venue, it reminded me of a bigger Last Resort, and like the Resort, it was unlicensed. In late 1980 it hosted the Battle of the Sounds, a notorious “battle of the bands” contest that most of us figured was rigged in favour of established acts (the winners, Taste of Bounty, were a semi-professional band). The event was chiefly (in)famous for one of the judges, Phil O’Brien, supposedly receiving death threats (according to newspaper The Truth) from some punks because The Wallsockets didn’t win their heat, despite getting the best crowd response on the day. Half way up Adelaide Rd heading towards Newtown was the old Adelaide Hotel, which was about as old-school a venue as you could get. Now sadly closed, it was a classic sticky-carpet rock ‘n’ roll bar – cheap beer and noisy music. A back bar, located via a side entrance, it hosted some amazing gigs in the 1989-90 period, including the Skeptics and various other Flying Nun acts such as the Headless Chickens and (if memory serves) Straitjacket Fits. During the 2000s the front bar became the music venue, and many a good trashy rock ‘n’ roll band played there until it too closed its doors for good. It now stands derelict. Finally, there’s the Wellington Town Hall – not exactly a regular venue for small-time punk or alternative bands back then, but it did host what was probably New Zealand’s first punk festival: The New Wave Spectacular, held on a grey, wet Sunday afternoon in June 1978. 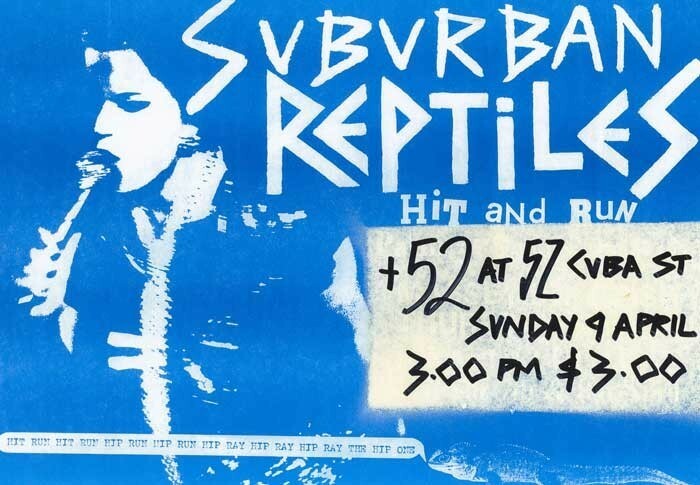 Apart from local boys 52, all the acts were from Auckland: Suburban Reptiles, The Scavengers, The Assassins, The Stimulators, and the unforgettable Idle Idols. 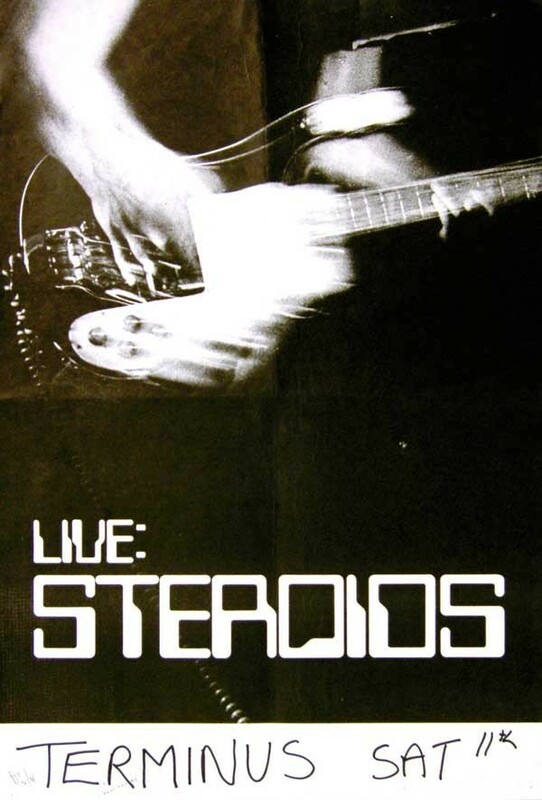 This was the first big event that brought all the little groups of punk fans around Wellington together. Everyone was eyeing each other up, trying to gauge if they were for real or just weekend punks (as many probably were). But it would be a few more months before a regular venue for punk acts would finally open: the Mindshaft.